Ken Block and his crew have created some wild rides, but perhaps none of them are as recognizable as the 1965 Ford Mustang known as the Hoonicorn. One fan took his love for the car to new heights with a version built entirely from Legos, Autoblog reported on Tuesday. 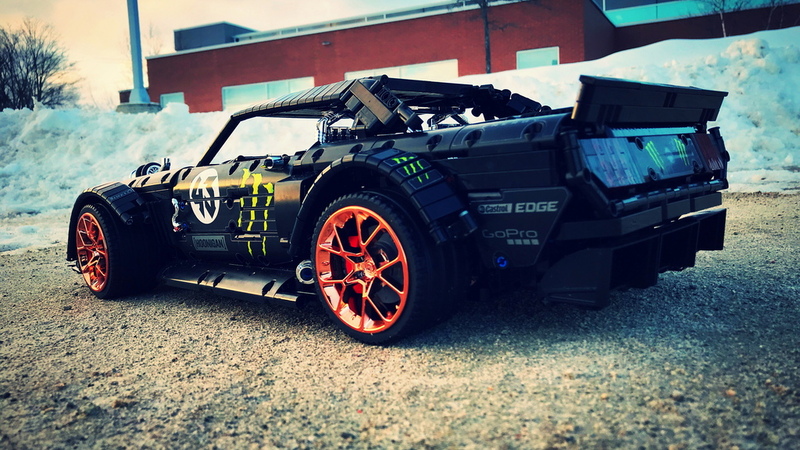 This Hoonicorn re-creation isn't an official Lego kit. Instead, the builder created it from the ground up with regular Lego pieces. 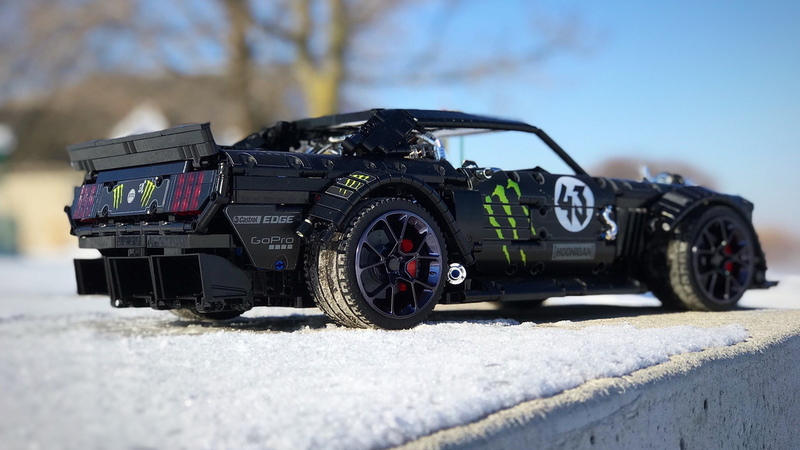 It's the latest in a string of really amazing Lego builds we've seen recently, including a 2020 Ford Mustang Shelby GT500. 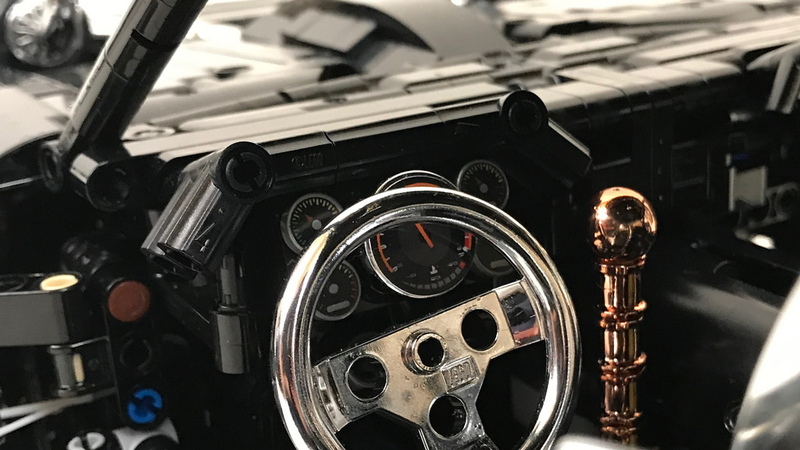 Photos of the Lego Hoonicorn posted to the builder's Facebook page showcase the bang-on proportions that make it a near spitting image of the real thing. Often, we see too many builds that fail to capture the look of the real-life subject. That's not the case here in the slightest. The graphics are correct, the wheel flares are perfect, and we don't want to know how long it took to mimic the front and rear bumpers so well. It helps that the 1965 Mustang features more hard lines than modern cars with swoopy shapes, but still, this is impressive work. We also see the V-8 engine is properly represented with twin turbochargers hooked to it. The greatness of the build doesn't end with the thoughtful brickwork. The builder even gave it power with electric motors at the front and rear. The steering can be operated via a remote control, too. The shifter and handbrake move, but they're not functional. We don't care, this is a Lego creation even we want to play with—and we're not kids anymore. 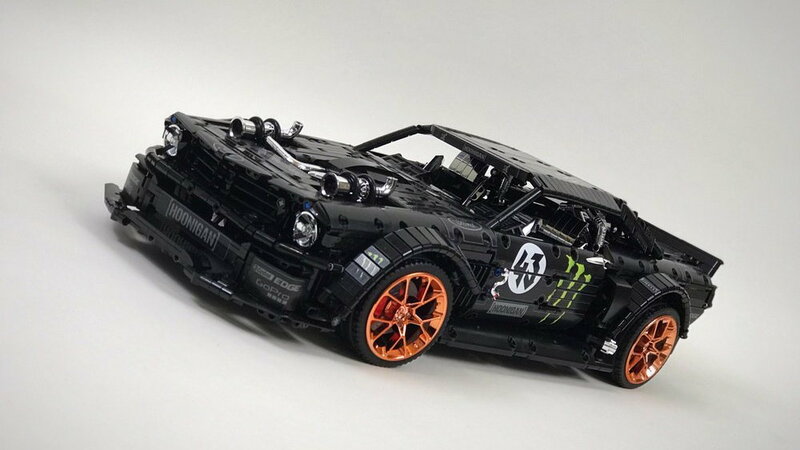 Lego has made the Hoonicorn part of its Rebrickable program that shows builders what can be created from sets and parts they already own. It's also part of Lego's MOC (My Own Creations) program that features the work of fan designers. As part of the latter, other fans who are up to the challenge of building their own Hoonicorns can follow the builder's instructions for a fee of about $29.